Nino has found her forever home with Amy, who lives just 10 minutes away from her original owners! Cheri and I cannot thank you enough for all that you have done to help out. Amy lives about 10 minutes from us, so it will be very easy to visit. 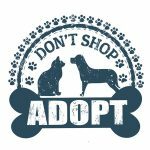 We’re experts at safely finding wonderful new homes for dogs and cats throughout Colorado. Need our help? Contact our pet rehoming coordinator, or call toll free (888) 720-3322. 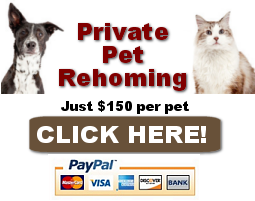 You can request pet rehoming services here. Hi, My name is Nino! Nino takes being cute to an entirely new level! This absolutely adorable dog is a delightful mix of Yellow Labrador Retriever, Australian Cattle Dog (ACD) and Chihuahua. She weighs 35 pounds and has been spayed. She has no health issues, and is perfectly house broken. She’s a smart cookie, well behaved, and very loving, playful and affectionate. Nino lives in Brighton, Colorado, and is being rehomed by her owners, who love her very much. They are very sad to have had to make the difficult decision to find Nino a new home, but because of conflicts between her and their first dog, it is absolutely necessary to find Nino a home where there are no other pets. Nino is such a good girl. She is attentive, intelligent, devoted and affectionate – a really great companion. She just wants to be your one and only dog, and who can blame her for wanting all the attention? She is so pretty and sweet – she has already learned a lot of commands and is well behaved in the home. Nino is good with respectful children aged 8 and older. She tolerates cats, so may be OK with a very dog-friendly cat. Please read all about Nino below, and if you would like to open your heart and home to this amazing young pup, please get in touch. Nino is waiting to steal your heart! Such a beautiful girl. Nino is “all ears”! She was the worlds’ most adorable puppy! “Nino” is a very sweet and affectionate puppy. She is full of energy and loves to run and play. She minds very well for a puppy. She understands hand signals to sit and lay down. She knows to sit and gently take treats from your hand. She understands “kennel” and will go sit and most of the time lay down in the kennel. She does not sleep in it however. We have a large laundry room that she spends the nights in, and her kennel is in the room. She is not yet leash trained as we have a large fenced in yard that she loves to run in. Such a smart and well behaved girl! She is just not able to get along with our other two dogs. She absolutely loves people, but wants to be the alpha, and went after our pug. We have to completely separate them, and it is not a good situation for any of them. She needs to go to a loving home and be the only dog. Another photo of a younger Nino. So pretty!